The 2018-19 DaVinci Film Festival “Presented by” partnership opportunity is currently unavailable. 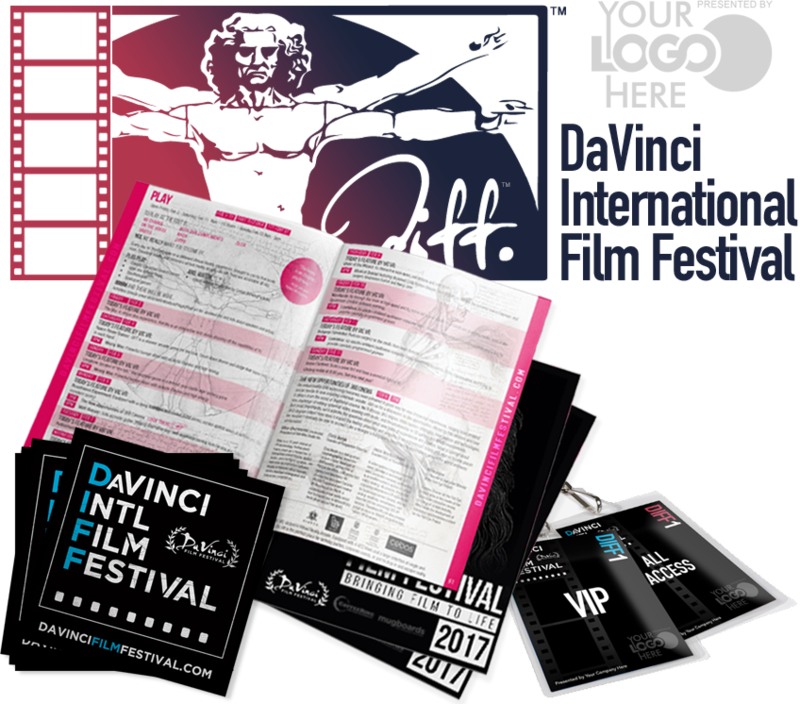 Contact us to learn more about co-branding the DaVinci Film Festival as a Marquee sponsor, and join us in celebrating the best in independent cinema from around the world. DIFF offers only one (1) “Presented by” Sponsorship position per calendar year. The next rotation will be available 5/2019. Please contact us for more information. There are no limits on other sponsorship opportunities at our festival. Sponsorships enable the festival to maximize its offerings to independent filmmakers and Creatives worldwide, and we’d love to work with you. Please contact us at: sponsorship@tdiff.org for more information. Sponsorships customizable to fit your budget and needs, large and small. GET THE EXPOSURE: Your logo on our red carpet Step and Repeat! If you have a product, service, or media exposure that you feel is in-line with our brand and would benefit the festival, we would love to hear from you. Please contact us (sponsorship@tdiff.org) to discuss our co-branded strategic partnerships. Thank you for your support!